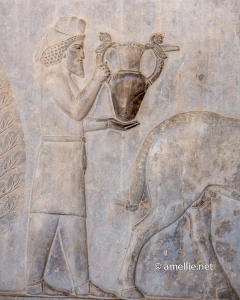 Iran is home to one of the oldest ancient civilizations in the world. For many centuries, the country is a testament to one of the world’s most powerful empires, conquering a huge chunk of Central Asia, the Middle East, all the way until Turkey. It has survived many wars, conflicts, and confrontations from its neighbouring countries. Among many of the country’s heritage is the famous city of Persepolis and the royal tombs of Necropolis, two spectacular legacies left behind by the Achaemenid Empire, which ruled Persia and beyond for over 200 years. The Achaemenid Empire, particularly during the reigns of Cyrus the Great and Darius the Great, is probably one of the fragments of Persian history that most Iranians are proud of. It has become an Iranian identity that unites the whole of Iran, regardless of their differences in religious beliefs and backgrounds. 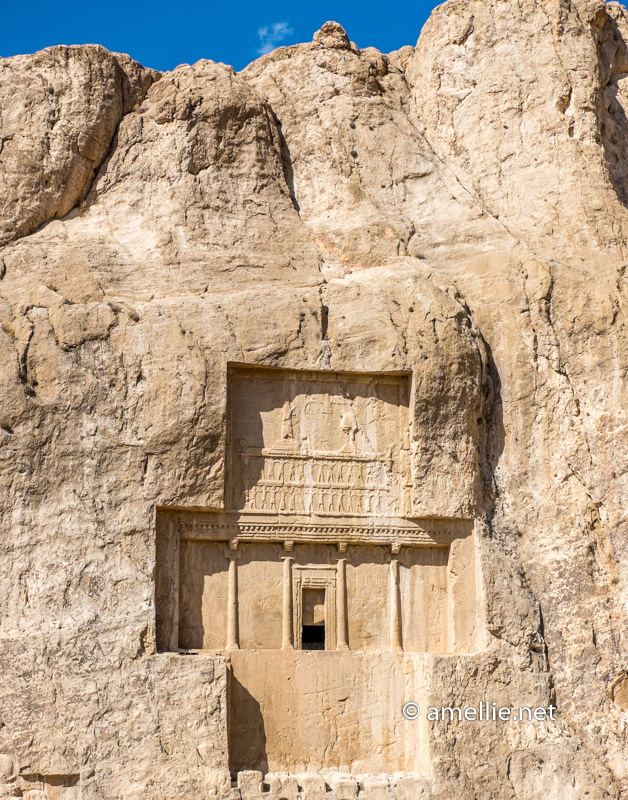 Going to Iran without visiting Persepolis and Necropolis, which is located nearby the modern city of Shiraz is like missing out a huge chunk of Iranian history. While you can witness the legacy of Persian empires like Sassanid, Safavid, Qajar, and Pahlavi in other major cities of Iran, Shiraz is the only few cities that is home to the remains of the Achaemenid Empire. 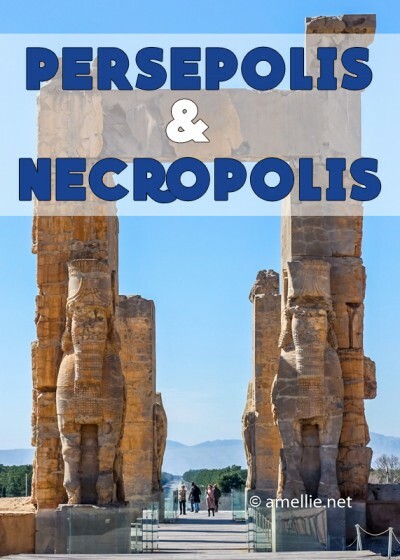 So, if you go to Iran, make sure you pay a visit to the magnificent Persepolis and Necropolis! 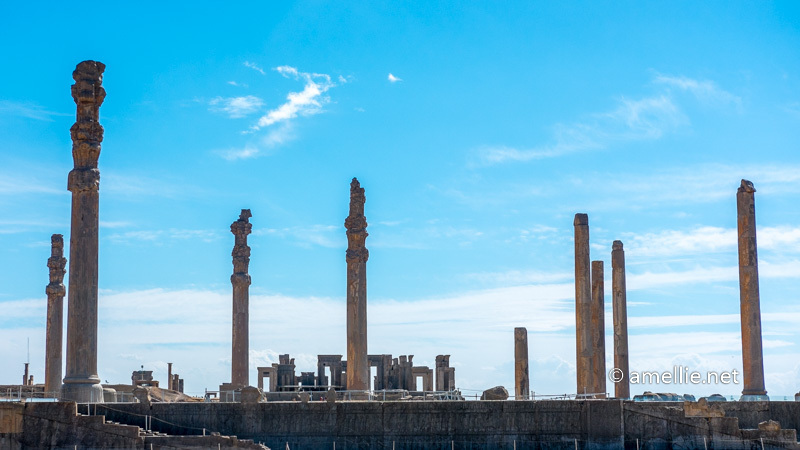 As the centre of Achaemenid government, Persepolis was an important ceremonial capital of the empire, used mainly for guest receptions and festival celebrations. 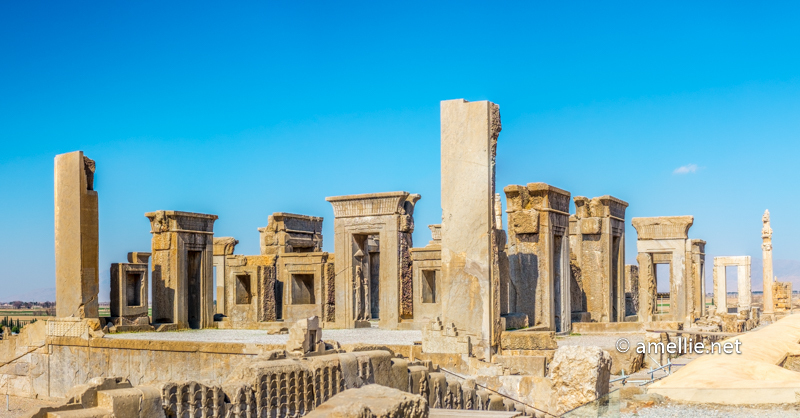 A few structures and palaces are built around Persepolis, with each king of the Achaemenid Empire from Darius the Great to his predecessors contributed to building at least one of it, making Persepolis a grandeur city worthy of visiting. 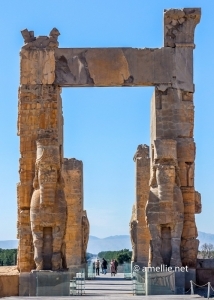 Persepolis is a testament to the glory periods of the Achaemenid Empire, which eventually led to its decline and destruction. It was the Macedonian king Alexander the Great (who is not perceived as “great” by many Iranians) who began his invasion of this once powerful Persian empire and subsequently defeated them, before looting and destroying the city by fire in 330 BC. What’s left of Persepolis now is its ruins and remains with a number of high-rise columns, statues, and beautifully carved reliefs. 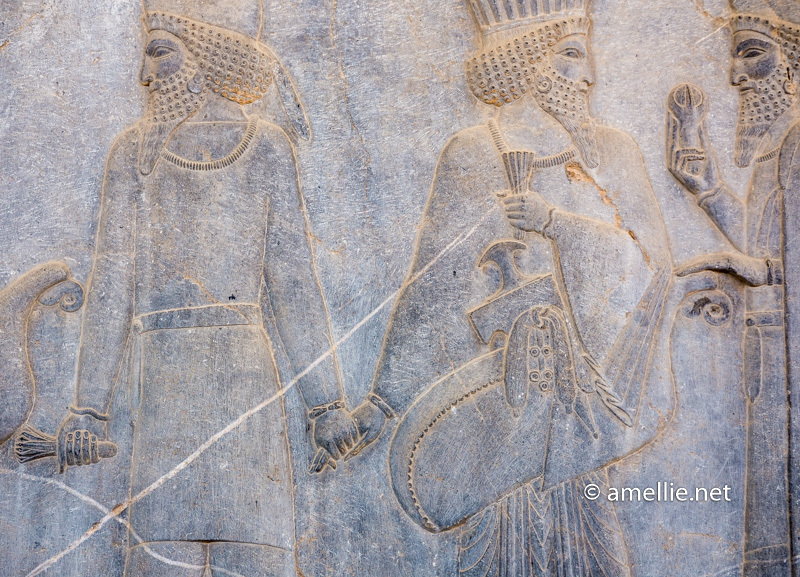 Despite all that, its magnificence can still be strongly felt when strolling around the Persepolis complex. I’ll try to cover the details and history of some of the buildings below (though I can’t cover all of them!). 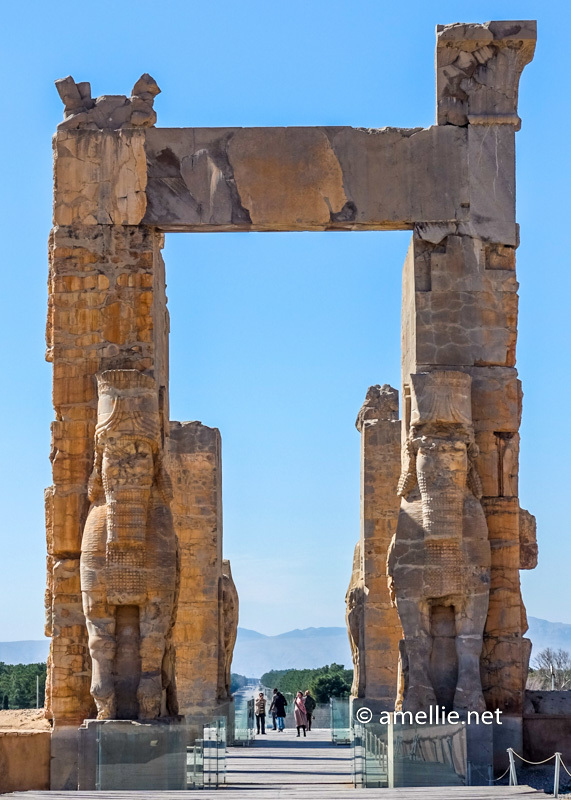 After passing through the double-reversed stairways, known as the Stairs of All Nation, The Gate of All Nations is the first Achaemenid structure that you will find as soon as you enter Persepolis. Built by King Xerxes I, all dignitaries and visitors had to pass through this gate in order to enter the terrace and pay homage to the king in the Apadana. Each entrance is protected by a pair of enormous winged-bulls with the head of a bearded man, elaborately carved into a stone doorway. These bull-men are often seen in Babylonian and Assyrian structures (in which the replicas can be found in the British Museum, London). The Apadana or the Audience/Throne Hall is characterized by the huge columns standing firmly on a raised platform. This is among the oldest buildings in Persepolis, built during the reign of Darius the Great. On this hall, dignitaries from all over the kingdom were received by the kings. 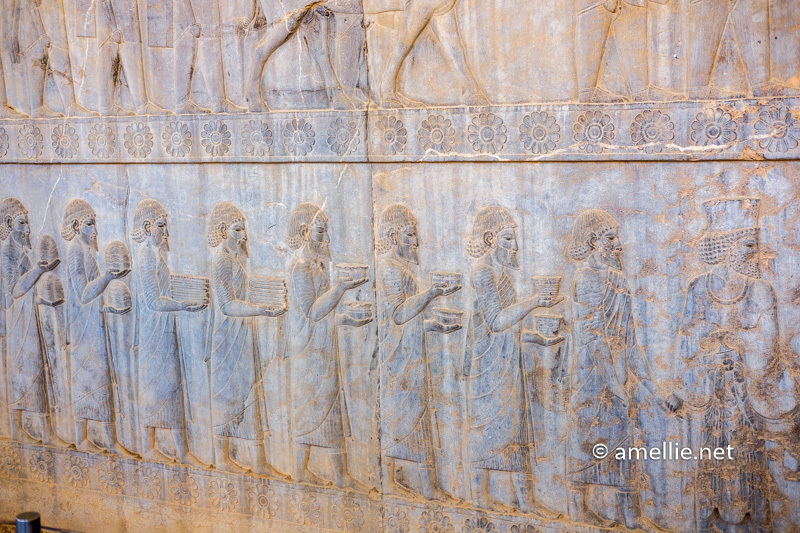 Each of them presented the king with various gifts, which became the theme of the relics around the Persepolis. Apadana is my most favourite structure in Persepolis, mainly because it captures my attention due to its stories through the elaborate bas-reliefs. 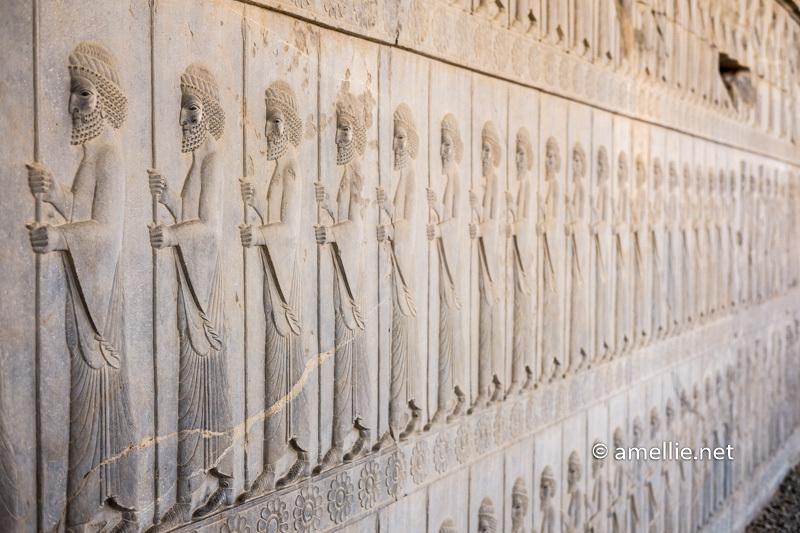 The eastern facade of the Apadana is decorated with beautifully carved walls, showcasing rows of Persian and Median soldiers. 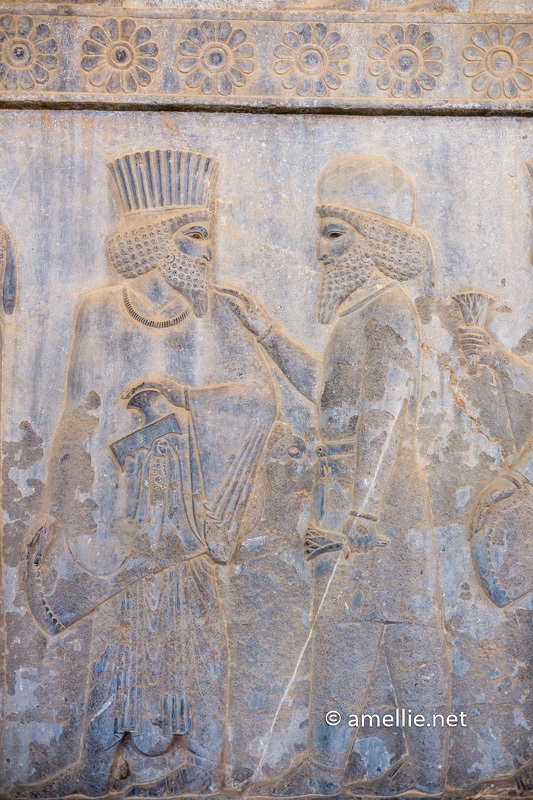 The bas-reliefs display harmonious and close ties between the Persian and Median soldiers, perhaps due to the fact that the mother of Cyrus the Great was a Median. At the other end of the relief are alternate figures of men in Persian and Median clothing, wearing earrings, torques, and armlets. On one hand, they hold a lotus or pomegranate flower, while the other hand touches the shoulder or bow case of the other soldier, or even holds hands. This is a beautiful representation of friendship, kindness, and unity between the Persians and Medians that had survived for centuries. 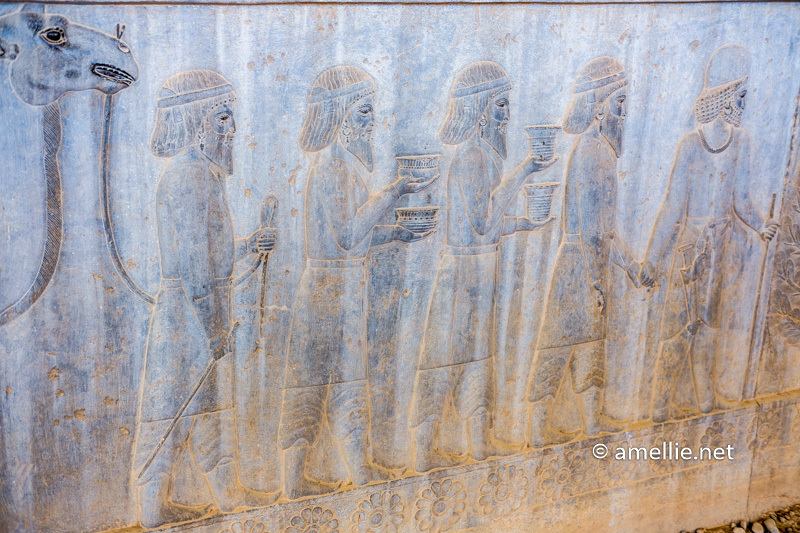 The bas-reliefs of Apadana not only showcase the Persian and Median soldiers, but it also shows the diverse groups that represent the people of the Achaemenid Empire, each wearing traditional clothes and bearing native gifts to the beloved king. 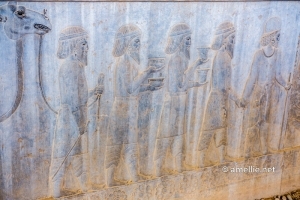 These gift-bearing dignitaries are led by the hand by either a Persian or a Median usher — an interesting observation by our tour guide, which means that these people were welcomed and were not brought into the palace by force. There are a total of 23 dignitary groups from different provinces of the empire represented in the walls of Apadana. I managed to capture some of them below. Parthians and Bactrians were people who came from (presently) parts of eastern Iran, Afghanistan, and Central Asia. 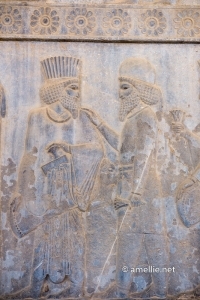 As shown in the bas-relief, the Parthian and Bactrian men are characterized by their knotted headbands, belted tunics, baggy trousers, and high boots. They carry drinking bowls and a two-humped camel. The bareheaded Ionian soldiers, who came all the way from one of the westernmost provinces of the Achaemenid Empire (including the nearby Greek islands), are shown wearing cloaks, similar to a toga in ancient Rome. These Ionians are shown carrying drinking bowls, folded fabrics, and large balls of wool. The Lydians were Anatolian people living in the modern western provinces of Turkey. They are shown wearing head coverings and cloaks, similar to the ones worn by the Ionian soldiers. The Lydians bring gifts of precious metal drinking bowls, beakers, and armlets. Other delegates include Armenians who bring a jar with eagle looking handles, Arabs with their folded garment and a single-humped Arabian camel, Ethiopians with an elephant tusk and an okapi, and many other nations. The level of details of these figures is quite insane, knowing that this was built as early as 518 BC. 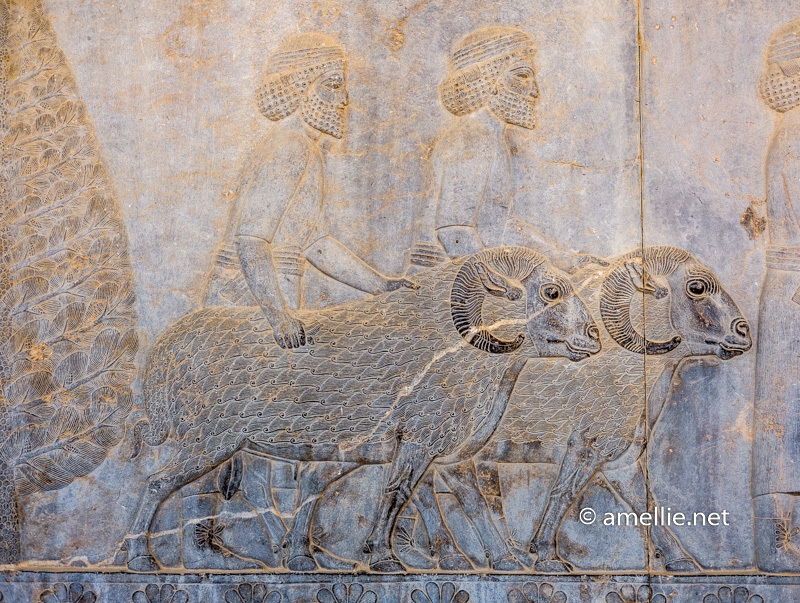 Look at how the Assyrian delegates are represented: the elaborate sheep wool (and how one of them holds the wool! ), legs, and horns, their shoes with square knot bows (ancient invention! ), and multilayer belts — so much detail is really spent into carving such a beautiful masterpiece. It was truly an extraordinary experience to be able to see it in real life with my own eyes and to know how diversity was celebrated and embraced in one of the greatest empires in the world. Compared to other structures in the Persepolis, one amazing thing about the palace — despite the fact that it is the oldest palace in Persepolis — is that the Tachara has remained well-preserved. The massive stone structures are still quite intact; with the parts of woods that have vanished. This strongly suggests that the Palace of Darius was spared when Alexander the Great destroyed Persepolis in 330. According to an inscription, the palace was built by Darius, however, the great king did not see it finished. It was completed after his death in 486, by his son and successor king Xerxes I. 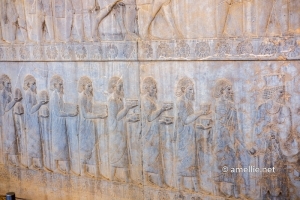 In order to keep the palace from vandalism, tourists and visitors of Persepolis are not allowed to enter the palace, as we can only admire it from the side. 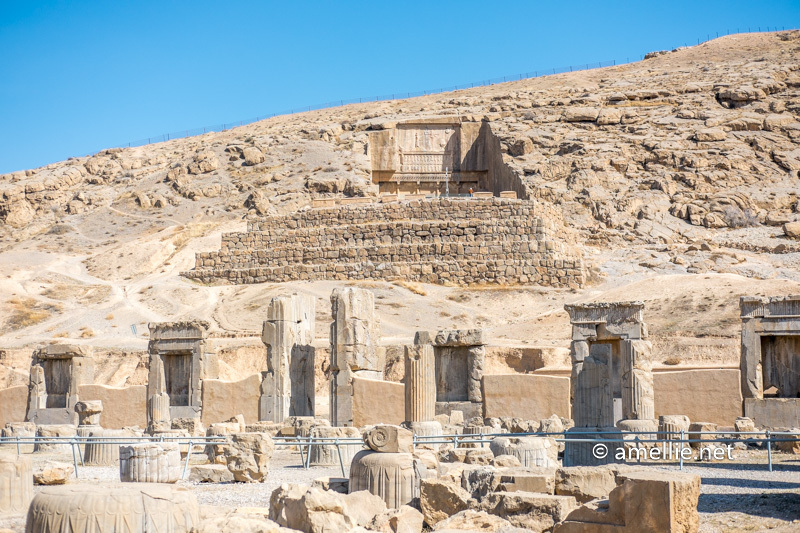 At the top of a hill overlooking the Hall of Hundred Column lies the tomb of Artaxerxes III, one of the two royal tombs that exist in Persepolis. The other four tombs are found in Necropolis (see below). 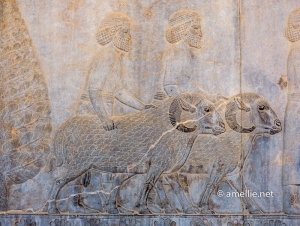 The upper part of the tombs features a relief that shows a king standing on a platform that is carried by people that represent the nations of the Achaemenid Empire. About 12 km northwest of Persepolis is where the Necropolis or Naqsh-e Rustam stood. 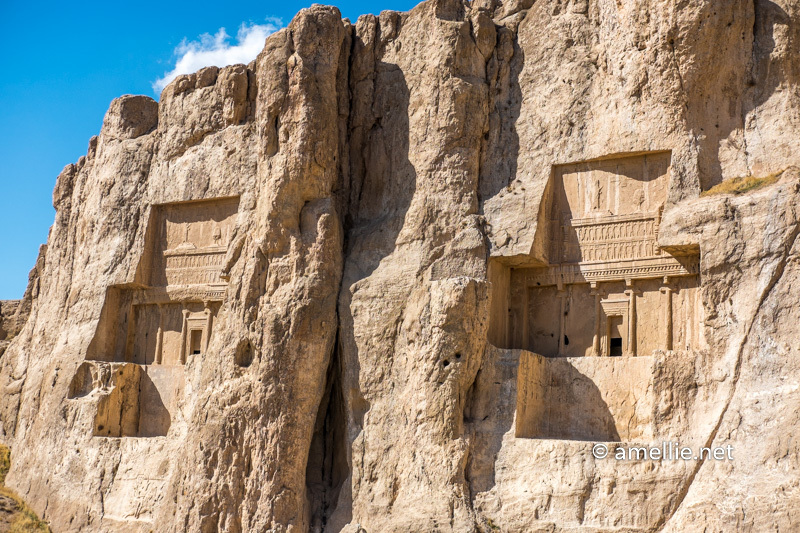 The four tombs of Achaemenid kings are carved out of a rock mountain. 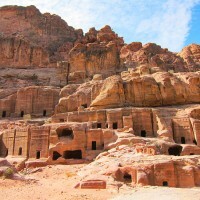 These tombs, which remind me so much of the ones in Petra, Jordan, are massive in size and located few meters high above the ground. 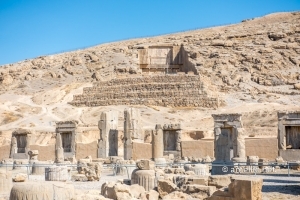 One of the tombs is explicitly identified as the tomb of Darius the Great, while the other three tombs are believed to have belonged to Darius’ son, Xerxes, his son Artaxerxes I, and his grandson Darius II. Although each of these tombs has a door-like opening to the inner part of the structure, archaeologists believe that these doors were smashed and the tombs were looted as soon as Alexander the Great managed to overthrew the once-powerful Achaemenid Empire. Just like the tomb found in Persepolis, these tombs feature carved panels over the doorways, with figures of the king being supported and empowered by rows of common people. At the bottom part of the cliff face are rock reliefs with large figures of Sassanian kings. 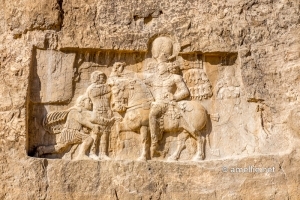 These reliefs were carved much later during the Sassanid Empire. Persepolis and Necropolis are located around 40 minutes drive from the city of Shiraz. If you are hiring a guide (see below for more details), you can either ask your guide to pick you up in a hotel or anywhere convenient, e.g. the main bus terminal. We decided to go to Persepolis as soon as we arrived at the bus terminal of Shiraz from Kerman, so we arranged a pickup at around 9 AM from there. 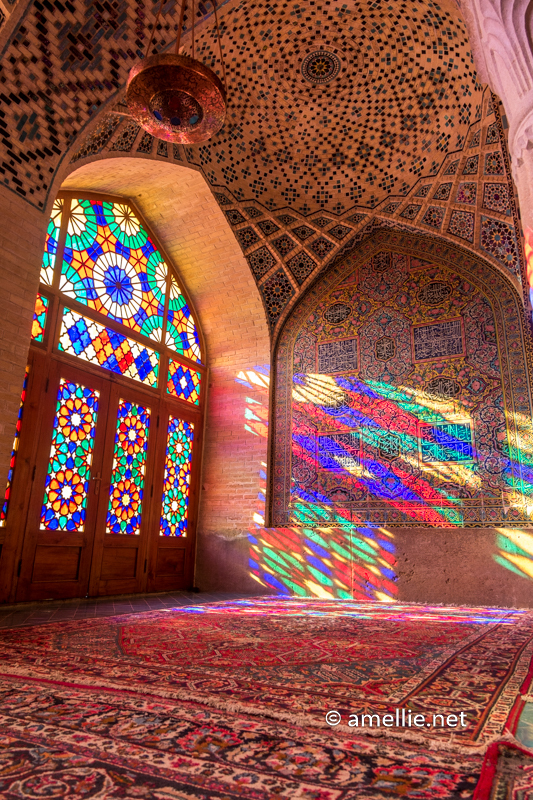 If you are in Iran during the summer months (June – September), I would recommend going there early in the morning or late afternoon to avoid the hot blazing sun that can make the whole experience uncomfortable. I was there during the winter month of February, so the weather was rather pleasant in the morning and during the day. Persepolis complex opens daily from 8 AM onwards and it takes at least two hours to explore the whole Persepolis site, plus another hour (or less in Necropolis). Expect a huge crowd during the national holidays, in particular, Nowrooz (Persian New Year) as the locals from around Iran would flock into this place, making it hard to take good pictures. 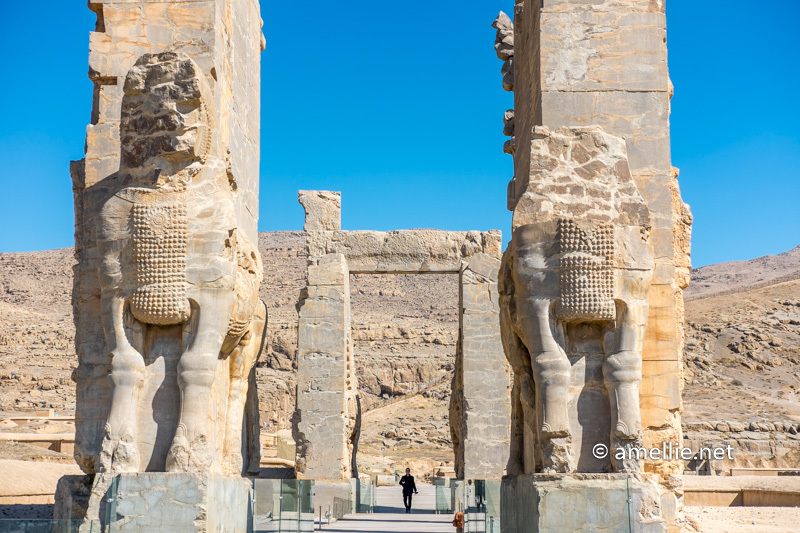 The entrance ticket for foreigners to Persepolis is very reasonable, costing 200,000 rials (USD 6.2) per person. For locals, it only costs 30,000 rials. You are prohibited from bringing a big backpack to the Persepolis complex. I left most of the things in the car, except my small sling bag and a camera. Don’t forget to bring your sunglasses and plenty of water to survive the day. For Necropolis, the entrance ticket is also 200,000 rials (which doesn’t seem to make sense since it’s way smaller than Persepolis). There are no public buses that go directly from Shiraz to Persepolis or Necropolis, so the only way to get there is by car. You can either hire a tour guide that can take you to both places or arrange a transport without a tour guide (or a taxi). The best way to go to Persepolis and Necropolis is actually by hiring a tour guide. 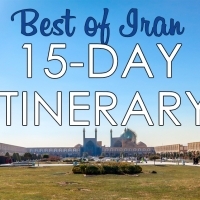 Depending on how good your guide is, he or she will be able to give you an introduction to the ancient history of Iran and the amazing Persepolis reliefs. I know that some people may not wanna pay extra to hire a guide, but I do think it’s worth every penny. By hiring a guide, I was able to understand the meaning and stories behind the relics and artefacts around Persepolis, as well as appreciate the impressively small details of the carvings. Having a tour guide that speaks excellent English and knows tiny interesting bits of the area is important. We are very lucky to have found Peyman, a young Iranian fella who opened our eyes on Persepolis and Necropolis. He had a vast knowledge on Persian history. We left the place feeling amazed beyond words. 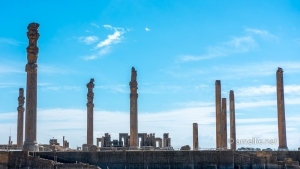 The tour to Persepolis and Necropolis costs USD 45 per car, excluding the entrance ticket. If you don’t fancy paying for a tour guide, it is possible to go there with a taxi or a driver. The only downside is that you won’t get the luxury of someone explaining to you the details of the ancient history and heritage of Iran. I contacted a local who offered me USD 22 per car for transport from Shiraz to Persepolis and Necropolis (and back). For a transport that includes Pasargad, it costs USD 40. 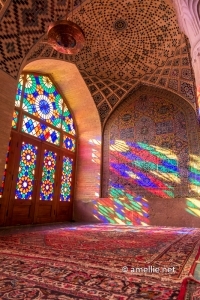 Since it only takes a day to explore Persepolis and Necropolis, I would recommend staying in the city of Shiraz. 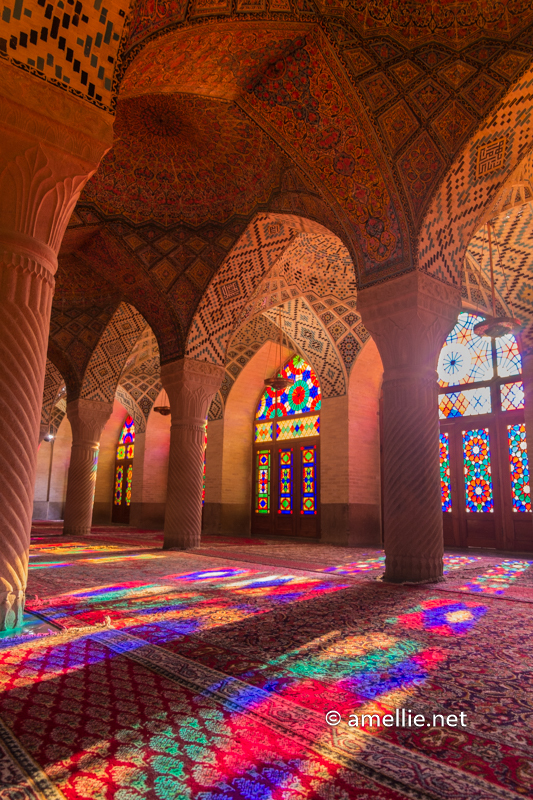 This allows you to discover the city, such as visiting the famous Nasir al Molk Mosque, which is one of the most photographed mosques in the world due to its beautiful and colourful window reflection. We stayed nearby the mosque itself at Goshan Traditional Hostel. It costs about USD 45 per night for a double room with a private bathroom. It is conveniently located across the Nasir al Molk Mosque and the bazaar. 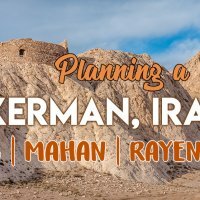 Check out our vlog in Persepolis and Necropolis, featuring our guide, Peyman. Love places like this, with ancients sites! They have similar rock temples in Turkey too! Glad to know that 🙂 Iran is a beautiful place worth visiting! thank you for you very informative blog!! I just contacted your suggested tour guide Peyman, and the price is €100 (=$115) for a car, excluding ticket fees! Could it be that the prices have inflated that significantly since you wrote this post? Are there perhaps more affordable alternatives you could advice me?